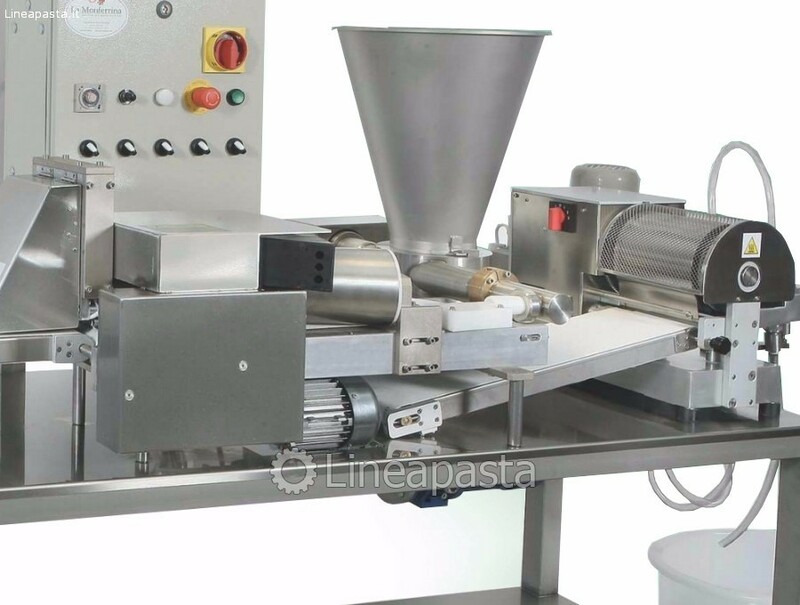 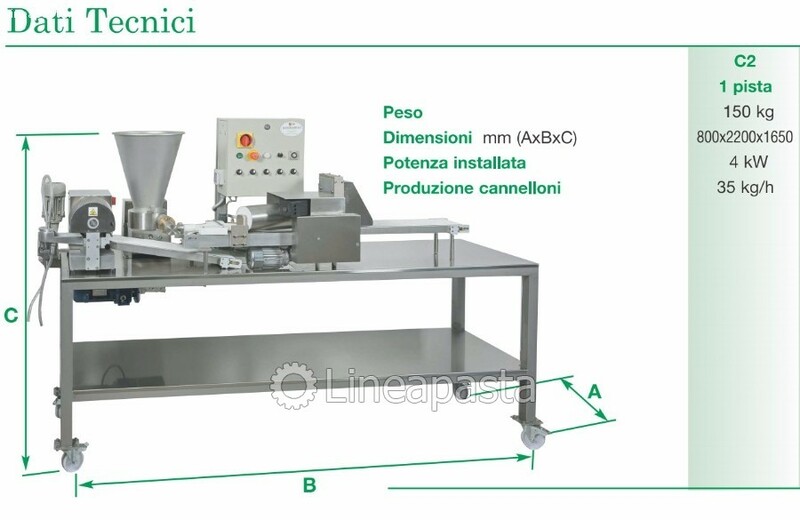 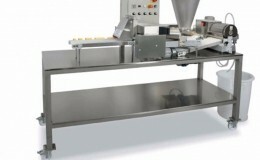 The model C2 is a machine for the production of cannelloni using crepes dough, composed by a crepes making machine C1 and a forming and cutting cannelloni unit. 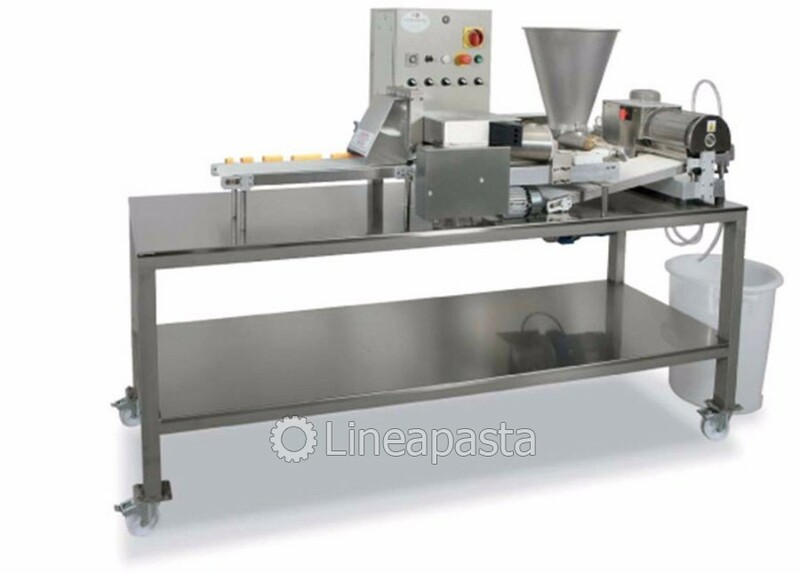 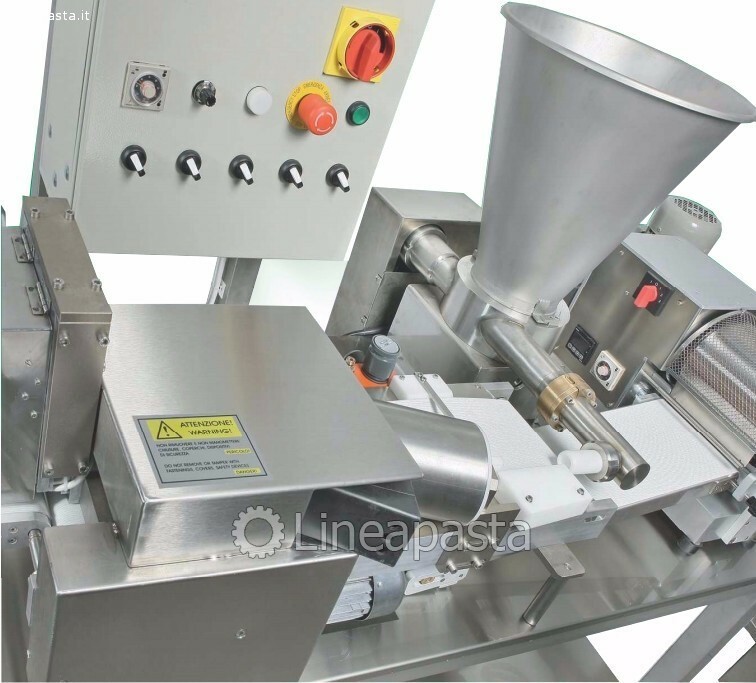 The machine C1 produces a continuous strip of crepes where it is dispensed any type of filling, as per need, through nozzles of different diameter ranging from 17 to 22 mm. 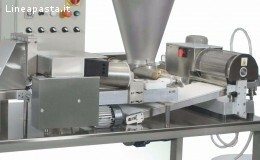 at the desired length through a timer. 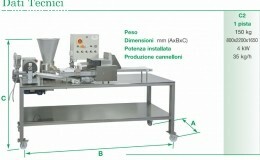 The control panel is at machine side and it is manufactured in respect of all accident prevention regulations in torce. 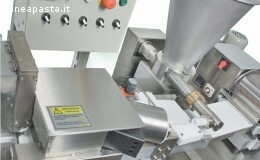 For the machine working process it is necessary a 2 HP air compressor with tank of 100 litres.